9 August: National Day. 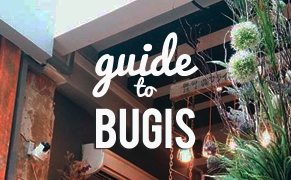 During celebrations like this, Singapore is often painted in a certain light as construed by our tourism board and subsequently accepted by the general public as what we are. It's almost as if we're a nation-state of rule-abiding citizens that eat Hainanese Chicken Rice for lunch and drink laksa soup for dinners everyday. 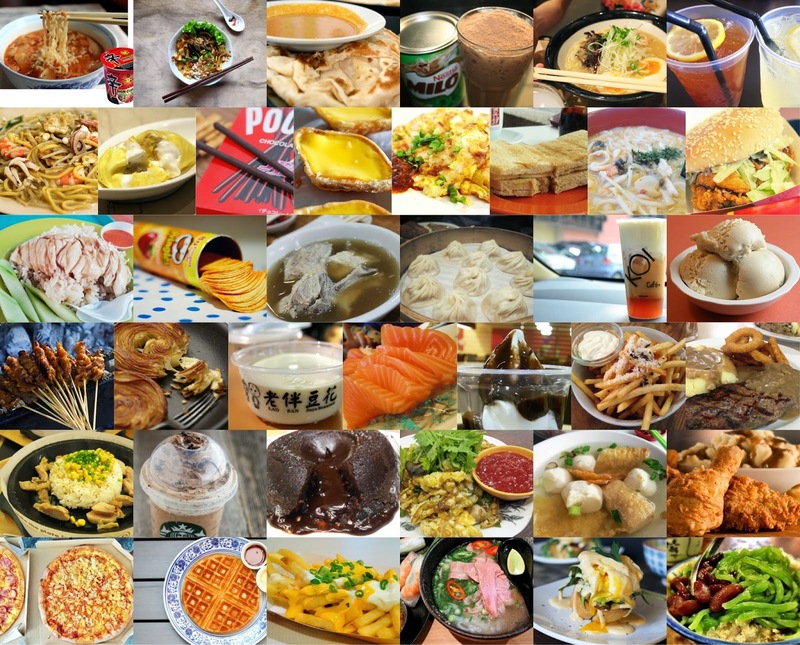 Nevertheless, we Singaporeans share certain affections for foods that may not be the best, or embarrassing to concede. 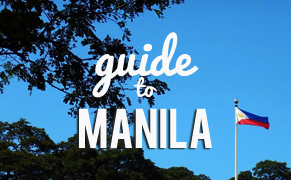 How many are your comfort foods that you crave for in the depths of night or when you are overseas for a long time? 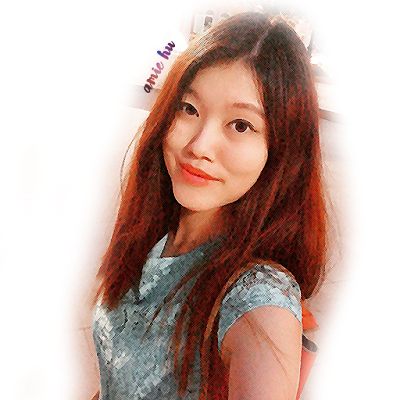 Even though this immigrant society has citizens hailing from all over the world, most of them aren't related to Koreans. Yet we love this brand of instant noodles and would scour overseas convenience stores to slurp on them in hotel rooms for a piece of 'home'. Mee pok, mee kia - your choice. 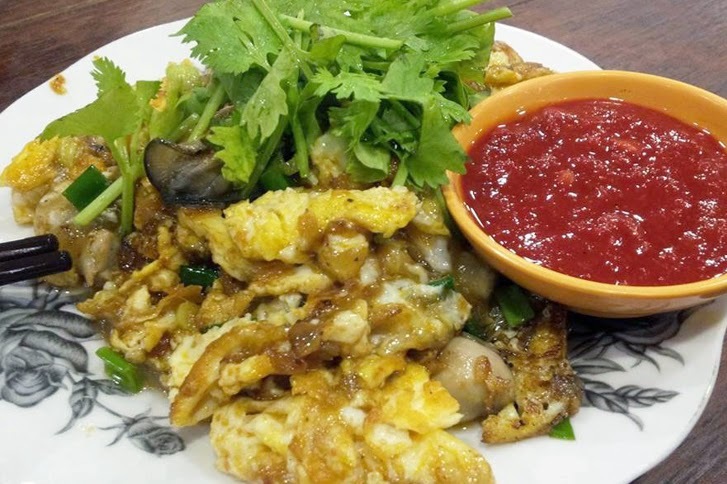 Mixed with chewy minced meat, braised mushrooms, fried pork lard, swirled in an oily, sinful delicious mess, this is one classic Singaporean dish that locals can subsist on for the rest of their lives. 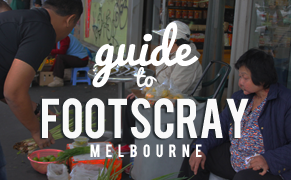 Deeply familiar and you can fool any stomach that it's Singapore you're tasting. If you were to ask me, the best way to foster harmonious ties between people of different cultures is through food. There is so much to talk about, so much you can understand by looking at cooking and eating techniques. 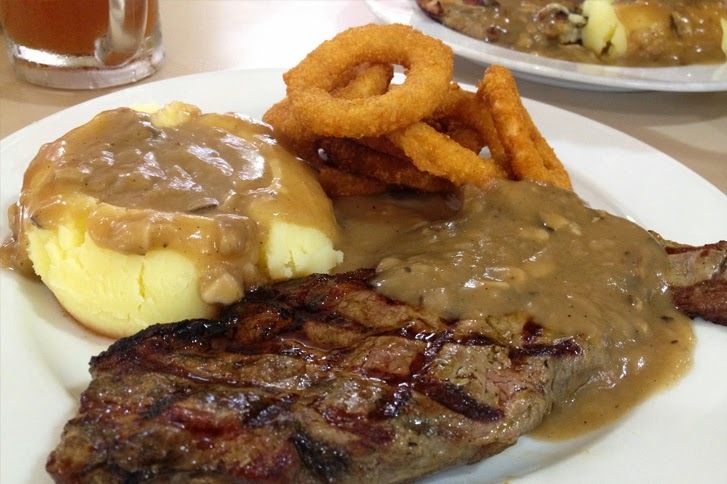 What's more, when there's something yummy going round, everyone is in a great mood and magic happens. 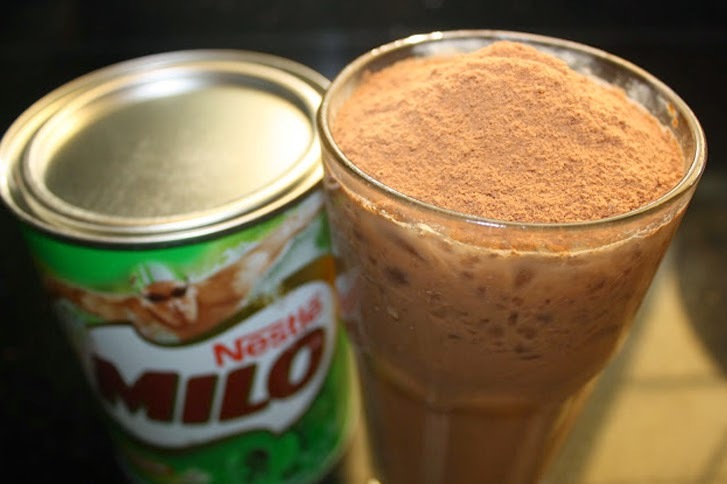 Milo dinosaurs or not - life is incomplete without this brown powder and the miraculous drink that appears when mixed with water.Variants of this Southeast Asian drink come in the form of iced Milo, hot Milo, Milo ice-cream, and the god-sent Milo van. 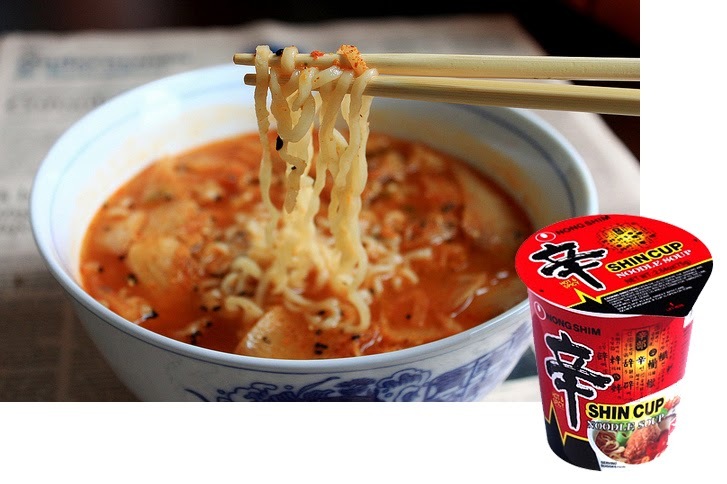 If you don't have the occasional ramen craving from time to time, you haven't been trying out the right ones. 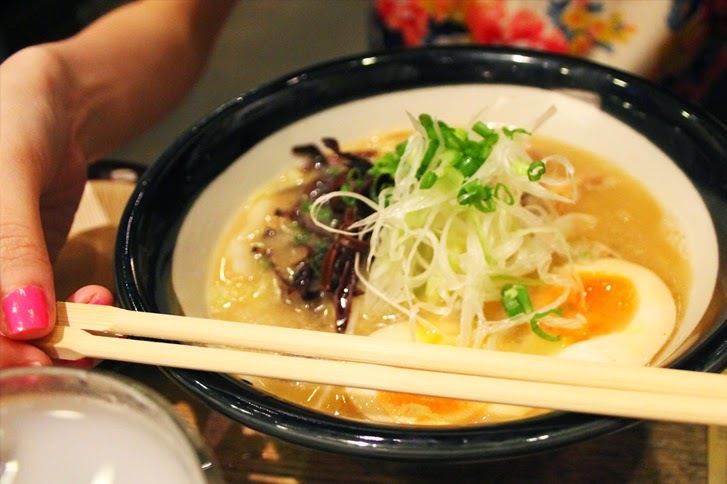 Ramen is quite prevalent across Singapore: you can find them in back alleys or shopping malls, hotels and even food courts! That is a safe precaution to prevent people from going crazy when they are ramen-deprived. Coke? 100 Plus? Iced Lemon Tea? 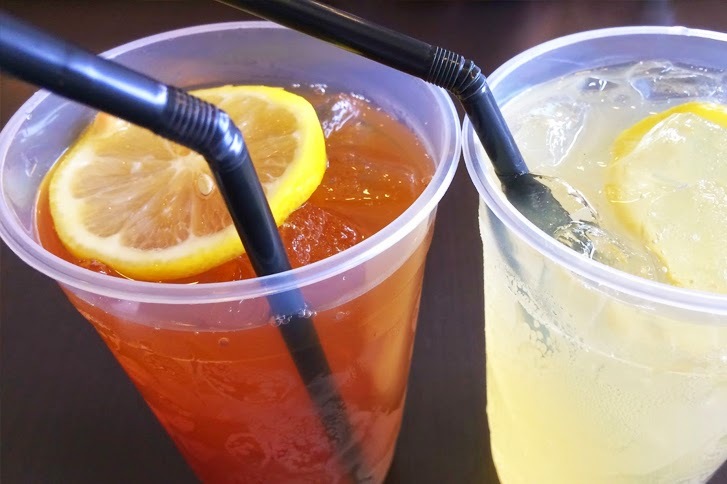 Chances are, if you're forking out that little bit more to change your drink, you either change it to Iced Milo or the national secret beloved sugary drink of Iced Lemon Tea. It doesn't always have real lemons, but the icy refreshing taste is enough to sink us into shiokness on a typical sunny day. 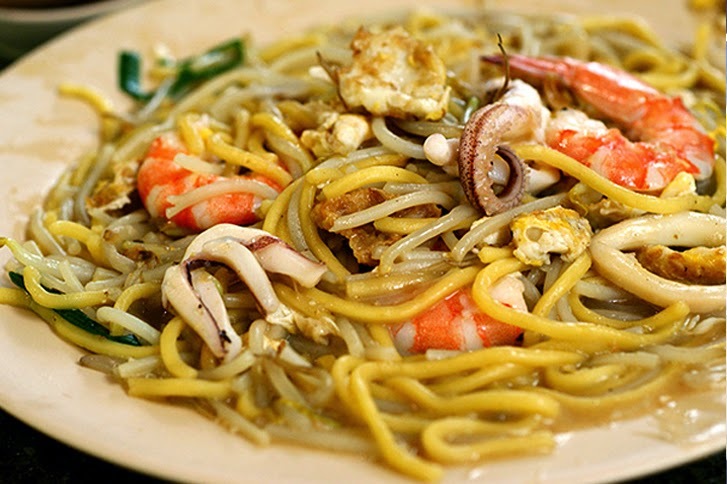 With a generous dose of chilli (or not), good hokkien mee are first characterized by the wokhei taste in the thick eggy gooey sauce the yellow noodles are soaked in, and next, the freshness of the prawns. It's rare to come across a perfect plate, but most are comforting enough to give a silent pat on the back after a long day. 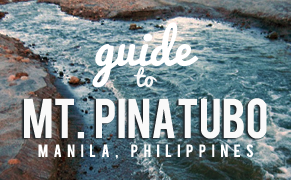 You cannot deny durians of a spot even though the nation remains divided on this heavenly/hellish-smelling fruit. 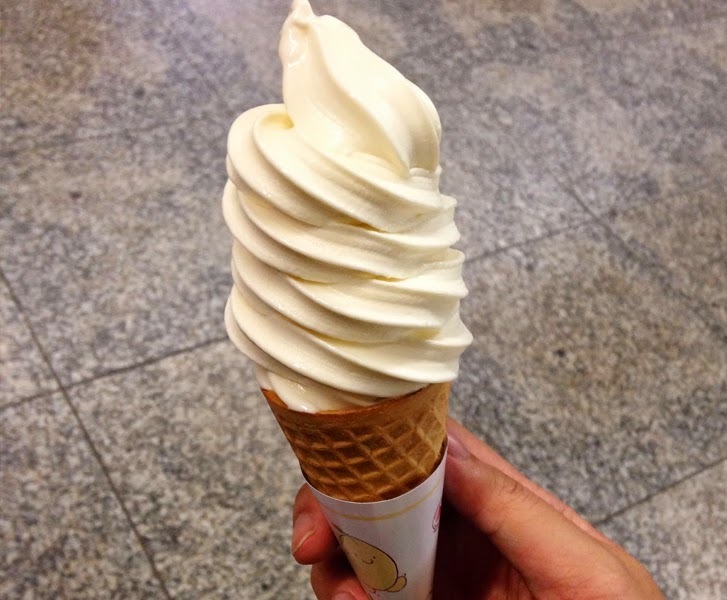 For those on the second camp who are willing to convert, why not start with durian ice-cream from Udders or durian ice shavings from Dessert First? 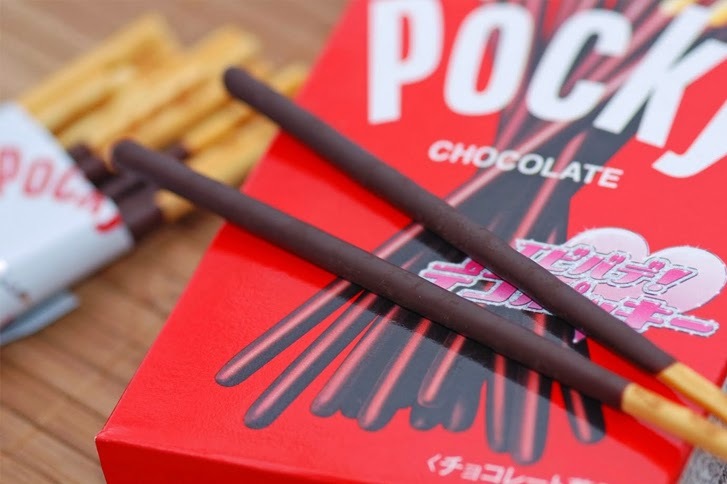 Or their very similar Korean counterpart, Pepero, definitely makes it to the list with their noble contributions to the secondary school days. These delightful chocolate or strawberry coated biscuit sticks have accompanied countless study dates and nights, and will continue to do so. 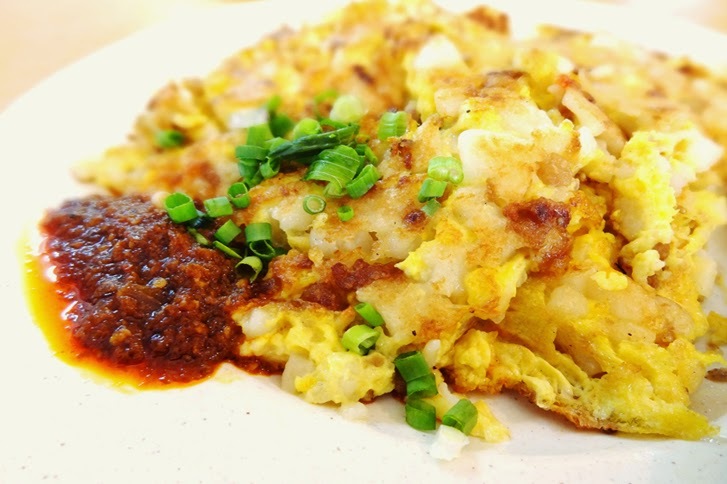 Although it doesn't seem particularly flamboyant, this humble dish captures the hearts of many Singaporeans. 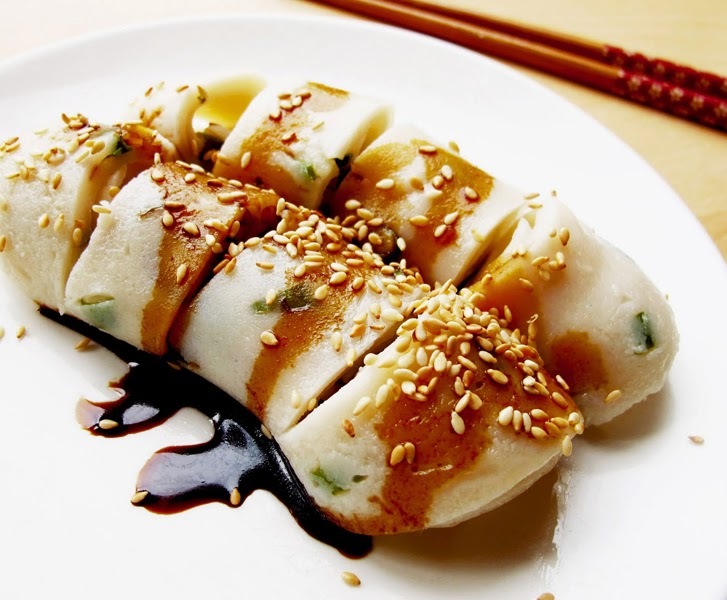 Radish-based and pan-fried to perfection, you can have it in black or white. Just as with every other stereotypical hawker food, you add chilli to make it taste damn good. 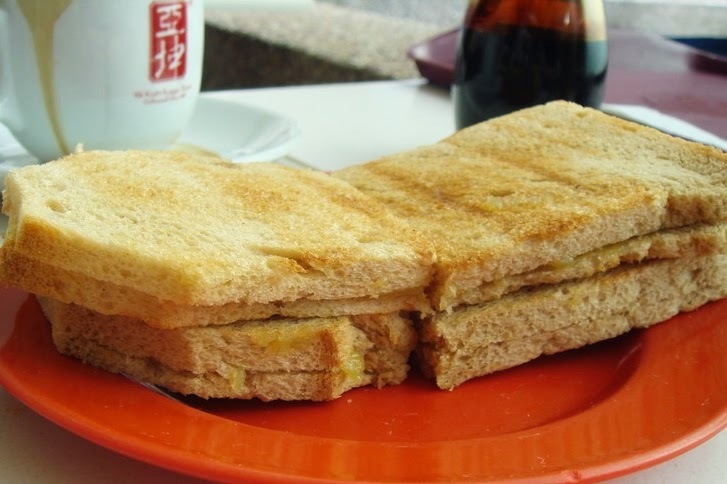 From time to time, you will think of kaya toast and crave for it. Flushed down with a cup of hot milk tea and paired with half-boiled eggs, that's the extremely typical Singaporean breakfast that you'll force your foreigner friends to go through. 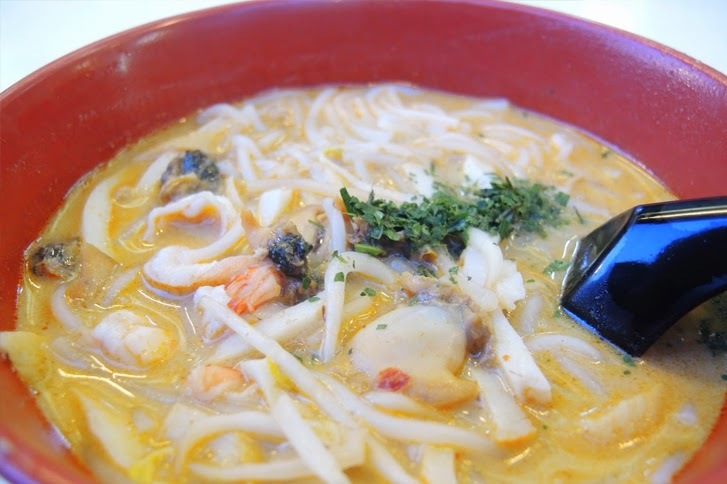 328 Katong Laksa (La: spicy in Chinese; Sa: sand in Chinese, referring to the golden hue from the shrimp in the soup base) definitely takes the crown when it comes to laksas. This little sinful hamburger is the love of many Singaporeans. 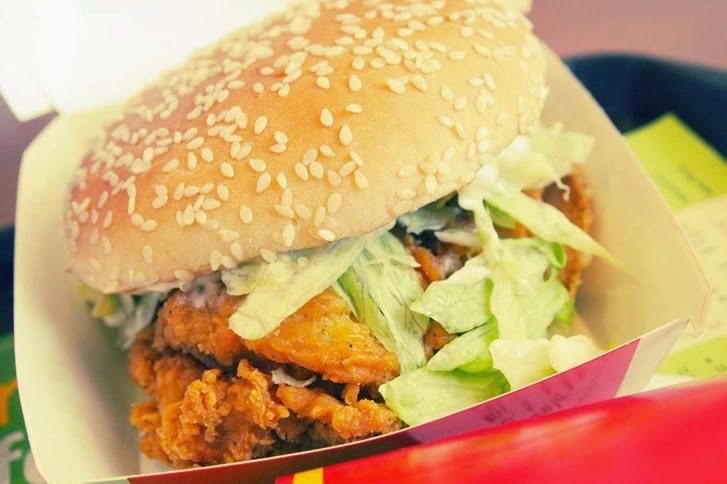 Not found in any other McDonalds around the world, the McSpicy Burger is the comforting fallback choice when queuing at the fast food restaurant characterized by the double yellow arches. 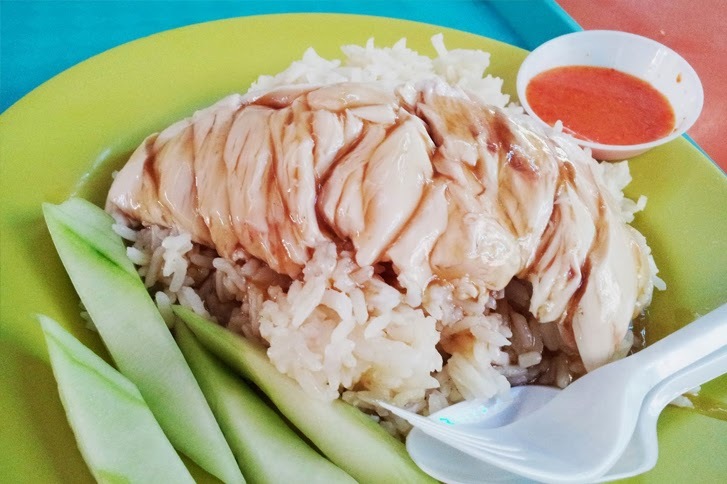 I used to eat chicken rice as a staple for every lunch and never got sick of it. I guess this is the perfect combination because Singaporeans are mad about chicken and can't survive without rice. 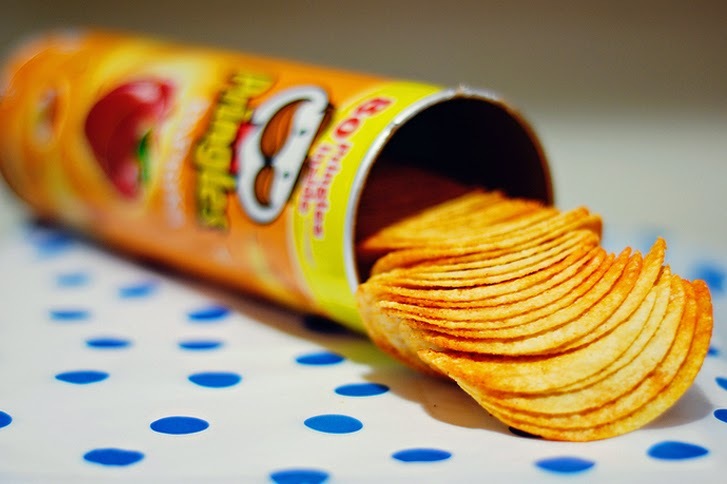 "Once you pop, you can't stop" - this is also the preferred smuggled item into Shaw or Golden Village theatres, or when you watch a soccer match / movie at home. Crunchy goodness that everyone loves, even though we have all heard about its cancer-causing potential. 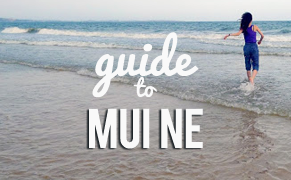 If you're up for some steamy action, opt for the Chinese herbal tea. 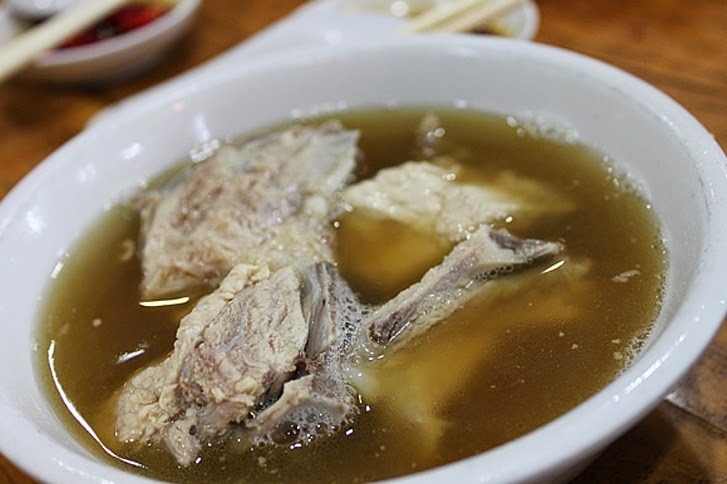 For the best in Singapore, you can head over to Song Fa Bak Kut Teh at North Bridge Road or Founder Bak Ku Teh. These are pretty safe bets. 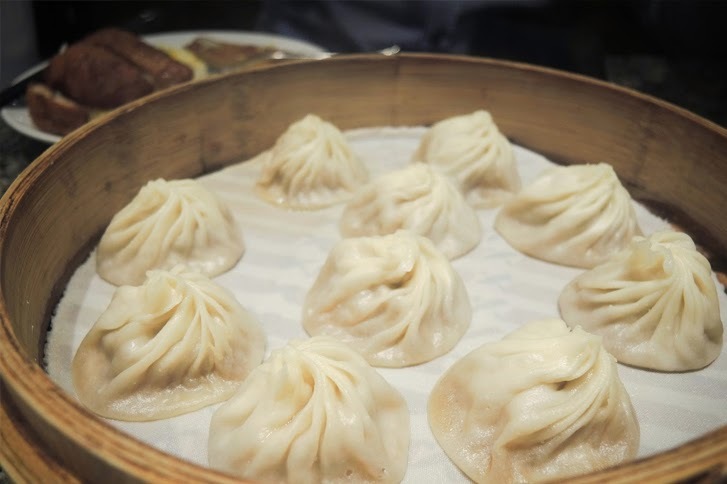 When it comes to eating dimsum, we always begin with ordering xiao long baos because... well, why else would you be eating dimsum? The national passion for these little baskets of delicacies reflect in the long queues for Swee Choon, Tim Ho Wan and the quintessential Din Tai Fung. Slice it, sip it. Bubble tea has seeped into our culture since almost a decade ago with Quickly and convinced a nation that it;s the best thirst quencher. 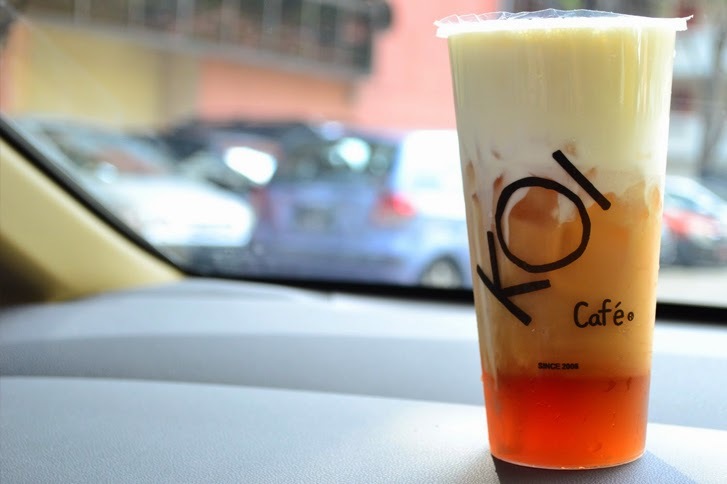 Everyone has their own favourite flavour in mind, but the most popular flavour must be KOI's Macchiato Green Tea. Artisanal ice-cream parlours such as Alfero's, Udders, Tom's Palette, Island Creamery, Sunday Folks, Creamier, Cold Stone Creamery and Ben & Jerry's whet the appetite of our second stomach - for desserts! 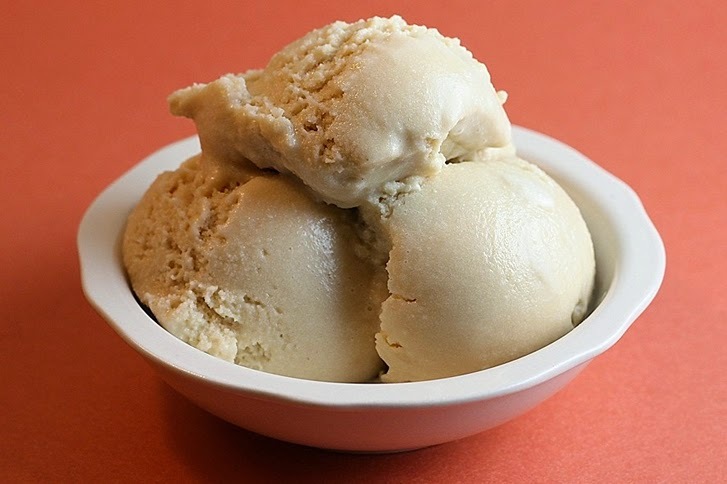 Salted Caramel Ice Cream sounds strange but it's so good. Singaporeans will understand this a lot. This are sticks of happiness whenever we do a barbecue. They make us feel like having smoke in our hair and clothes seems worth it. 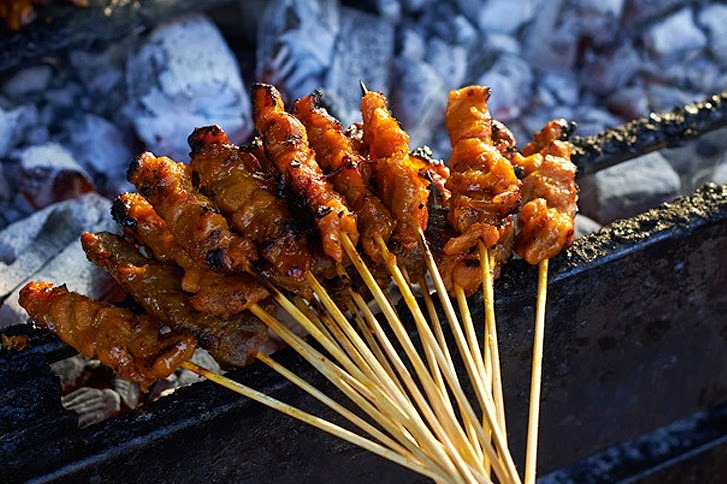 If you're craving for this, don't miss the satay corner at th enewly renovated Lau Pa Sat! 21. Soya Beancurd. Soya anything. 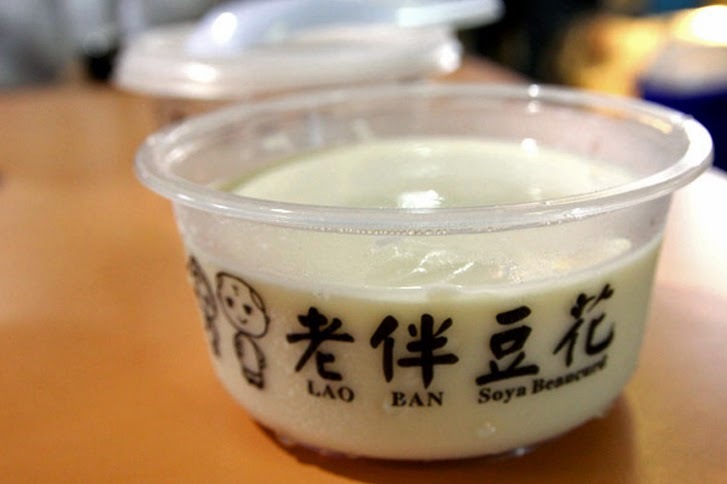 Even though the Lao Ban Soya Beancurd fad has died down since last year, Singaporeans' adoration for soy products can be traced back to the depths of history. Mr Bean and Jollibean are the mainstays in every nook and cranny of Singapore because soya milk is so necessary in our lives. More, more! 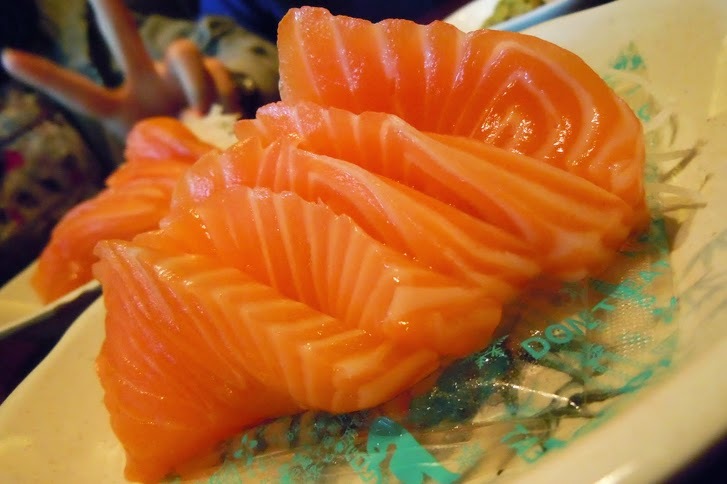 Raw fish fanatics would love the Japanese ala carte buffet where they can order trays and trays of sashimi and salmon. Irodori Japanese Restaurant sounds like a good idea for a weekend indulgence. 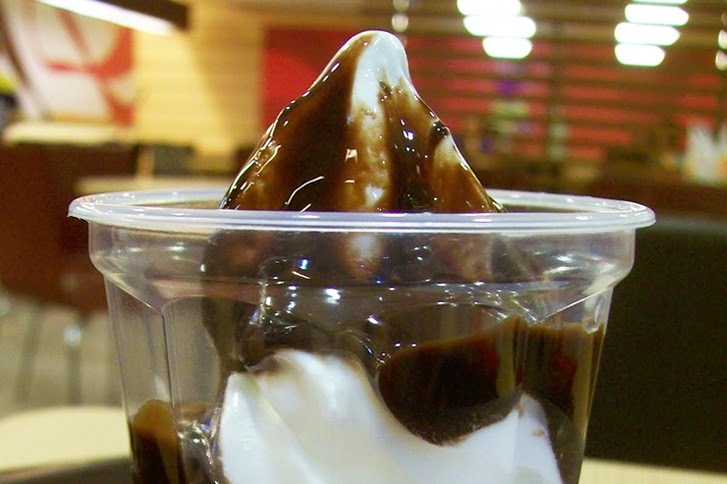 When you want to grab a seat inside McDonalds to chat with your friends after 9.30pm (hint: the closing time of most other restaurants), this is what you order. 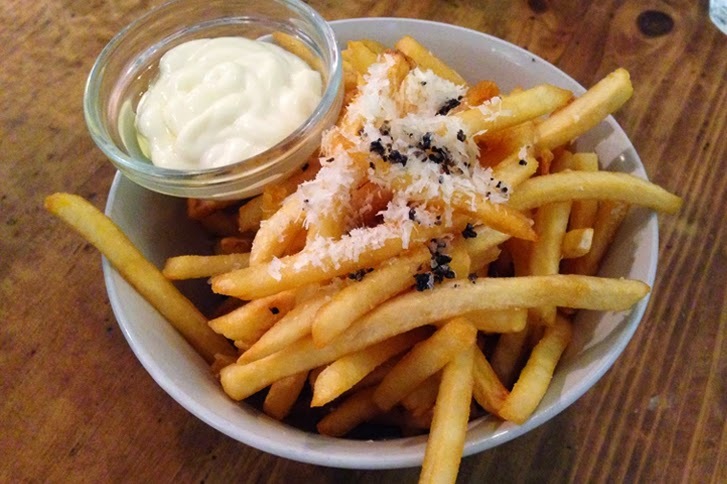 Since truffle fries was introduced to Singaporeans, this potato dish has been revolutionised. We never looked back - it's so delicious. These are very yummy atas fries. Not the best but why do people still suggest having this every time they walk past one of Astons's 28 outlets? 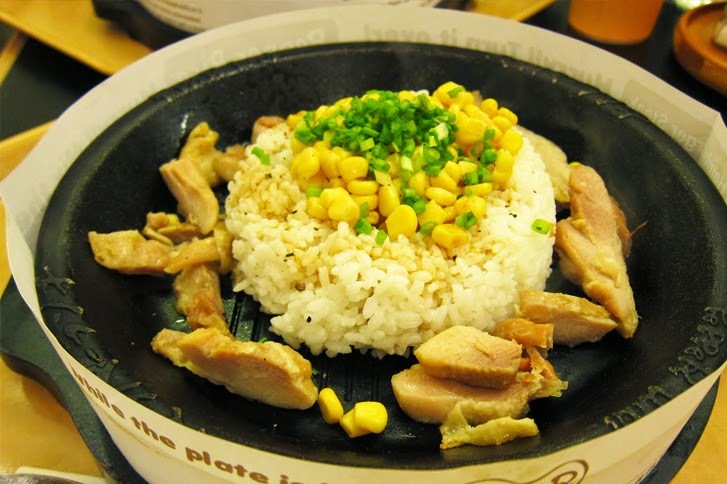 This sizzling hot plate is obviously one of Singaporeans' favourites at food courts - we see Pepper Lunch outlets popping up everywhere! 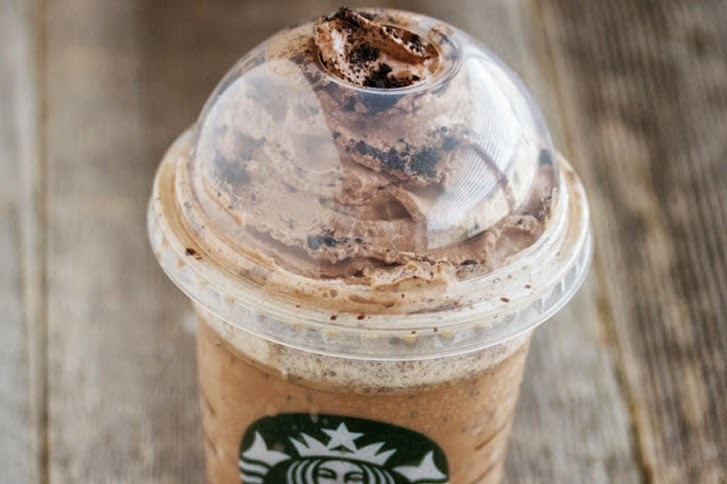 Drinking Starbucks is another national hobby even though they sell extremely overpriced coffees. What to do? Holding this plastic/ styrofoam cup with the classic green logo seems to make you cooler. It's the brand, and you know Singaporeans dig brands. Similar to ice-cream, chocolate lava cakes are the safest choices when it comes to a little sweet treat after main courses! 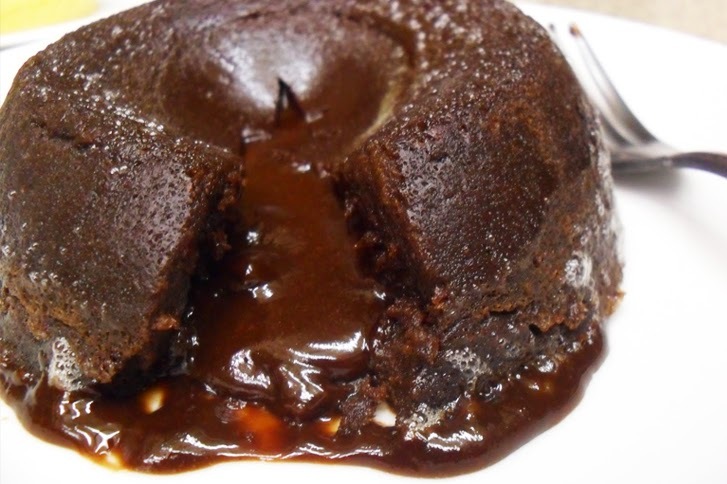 Half-melted chocolate sauce will ooze out when you cut it open - nothing can get more euphoric than that. 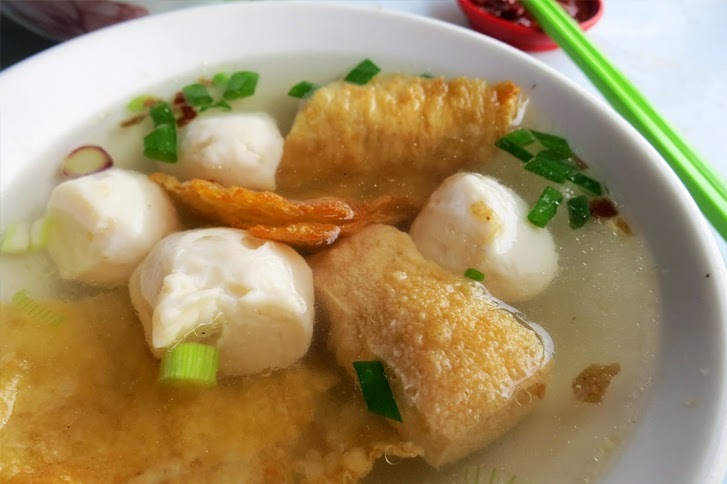 If you're feeling under the weather, you can always count on Yong Tau Foo to improve your mood. 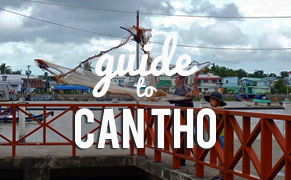 The little taupoks, fishballs, vegetables and beehoon swimming in hot soup seem like they will treat your stomach very well. 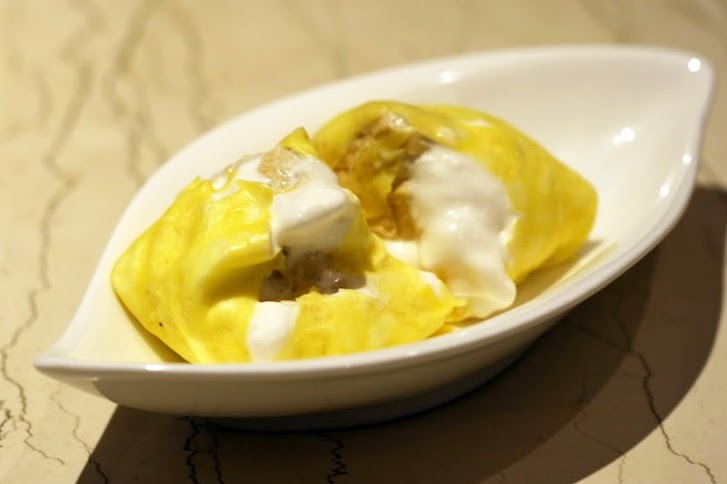 Affectionately known as O-Ah Jian, eggs are another type of basic food that we can't get enough of. If there is no such thing as high cholesterol, we will probably keep stuffing ourselves with variants of eggs (as if we aren't already, we just cap it at two a day). Oysters just make them better. Love it, hate it. 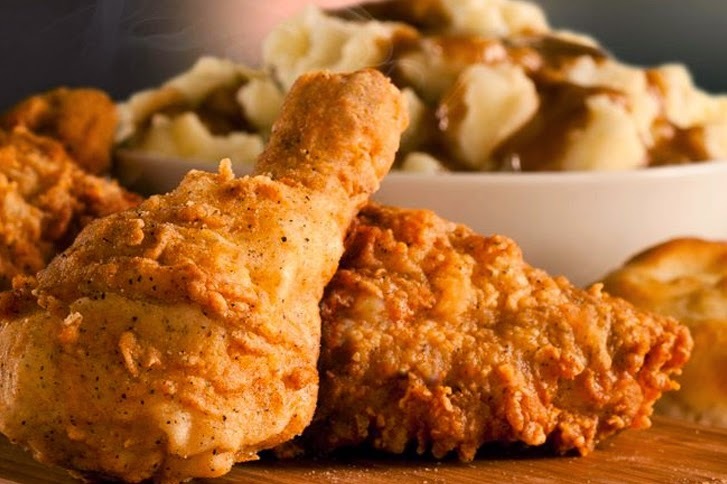 In a city where information moves faster than MRT trains, we all have heard about the rumoured cruel ways KFC has been treating their chickens... but it doesn't seem to stop us from eating fried chicken because the succulent meat is just too attractive to resist. Some may beg to differ but Domino's is the best pizza brand in Singapore. 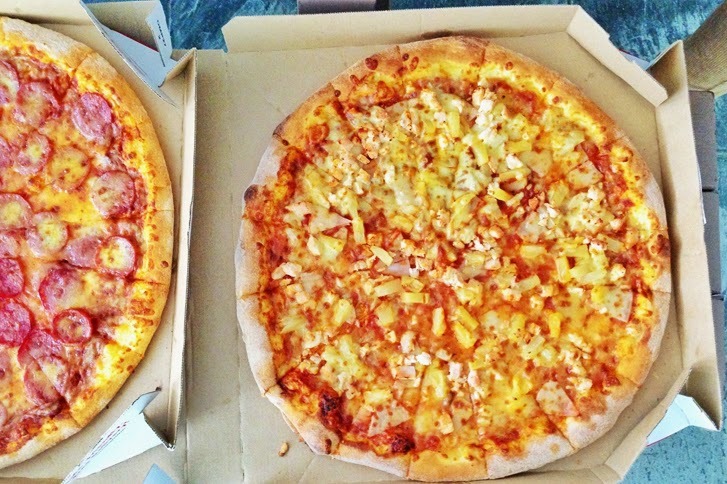 The most standard flavour of pizzas is Hawaiian Pizza. I can't tell you why, but it's all in the tastebuds. Even better, you get a free pizza on your next delivery whenever they are late (which happens 99% of the time). 50% off all pizzas this weekend - 9 August to 12 August 2014. 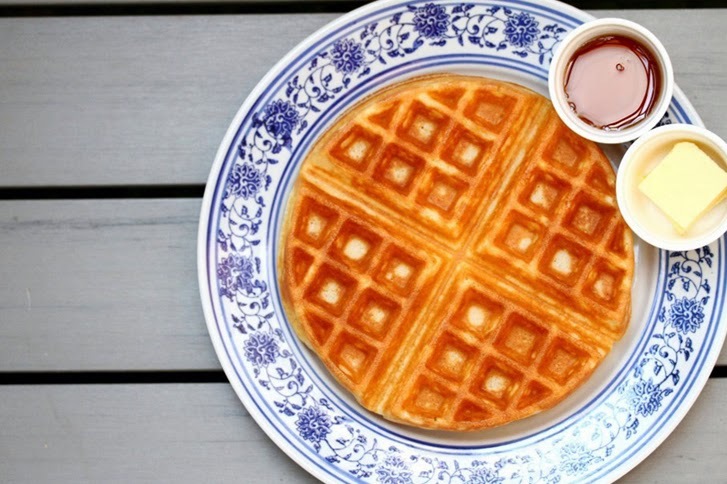 Waffles were all the rage months ago, but you have to admit these fragrant fluffy and crispy stuff are addictive. Good enough on its own, best eaten with ice-cream. 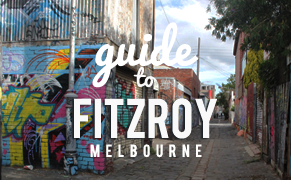 Not every waffle around town is yummy though, so be discerning! Yes, the two names in the title are hints. 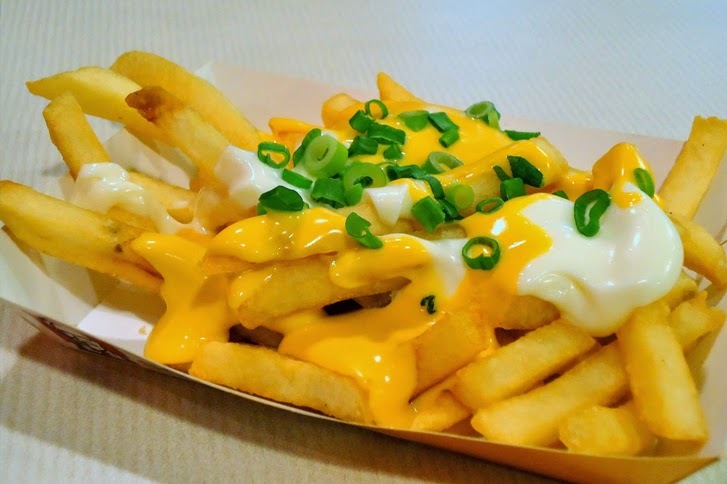 KFC or from the friendly Malay auntie at hawker centres, cheese fries are one tray of worthy calories, usually consumed as an appendage to lunch or dinner. 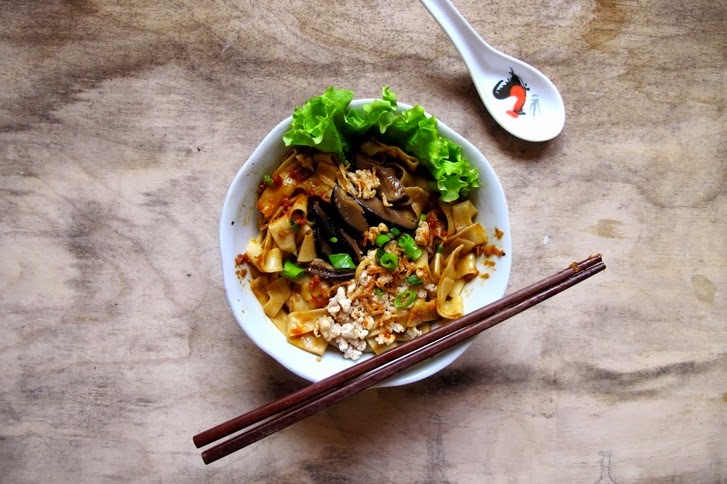 These silky noodles hail from our neighbouring country of Vietnam. Not my favourite, but people still queue up crazily for Nam Nam's Noodle Bar even after months of its debut in Singapore. Do you still remember the first time you heard this term: all-day breakfast? As opposed to McDonalds that strictly switches their breakfast menu at 11am sharp, cafes are the saviours of lazy bums that wake up past twelve and still want their breakfast at three. 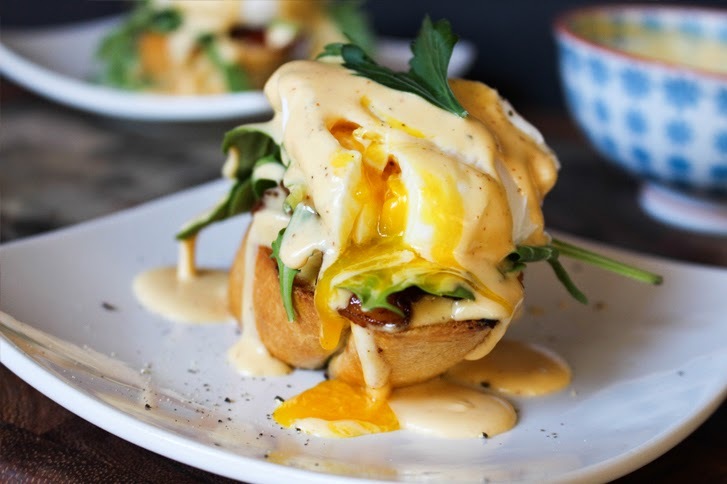 "Eggs Benny, please." 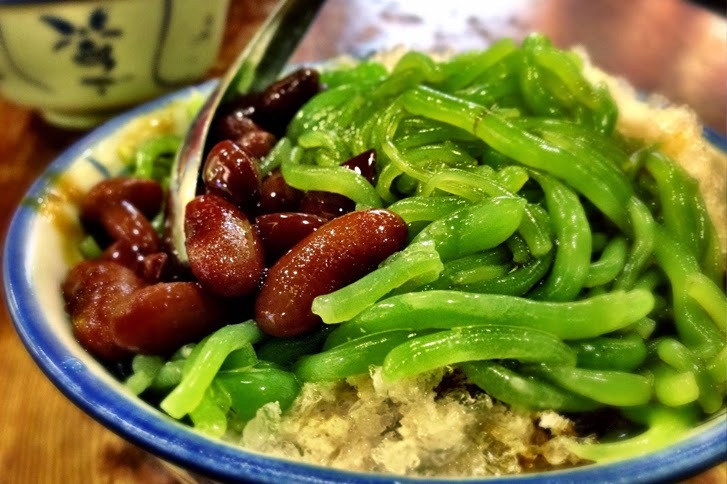 Arguments about the Chendol's origin can continue till the cows come home, but Singaporeans and Malaysians unite when it comes to their love for this dessert. Cold, gula-melaka rich, fresh red beans, and green flour jelly... hmm. 38. Llaollao Yogurt vs Sogurt. Llao Llao is hitting the shores of sunny island Singapore to reinvent healthy desserts, joining the ranks of weight-determined yogurts by Sogurt. Close substitute for ice-cream or not? You decide. 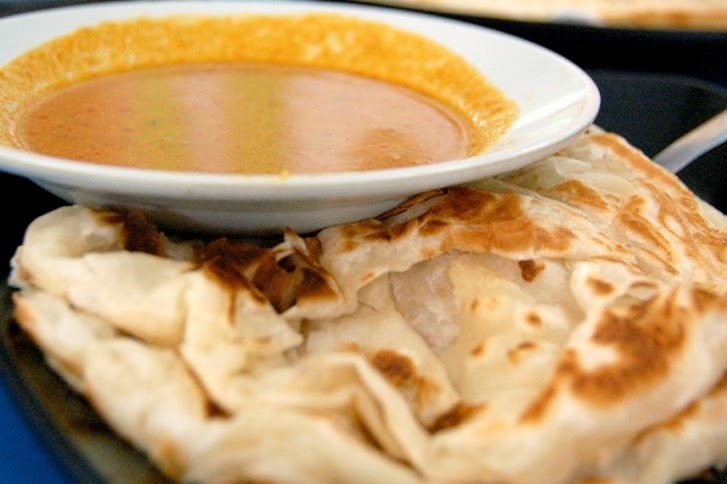 One of those everyday food that every Singaporean must have tried at least once in their lives at some point. 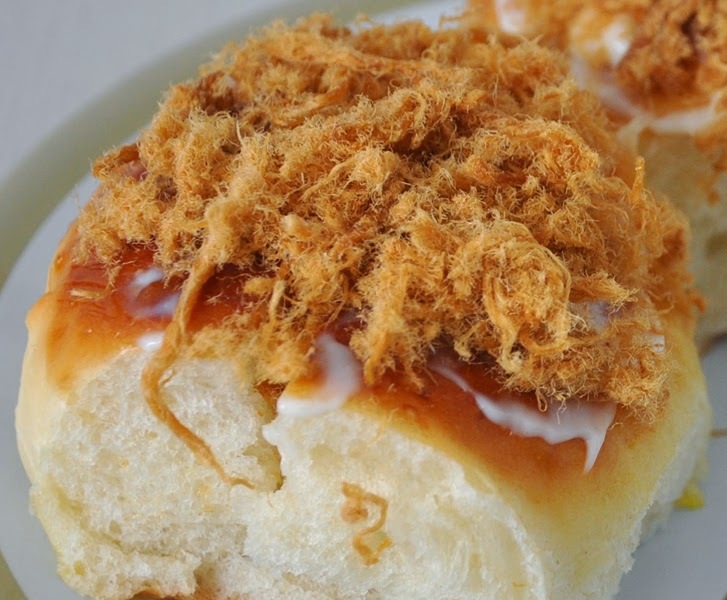 This signature bread in BreadTalk is fluffy and has savoury pork floss that is slightly sticky but so flavourful... and always so comforting when you're hungry at all the awkward timings. 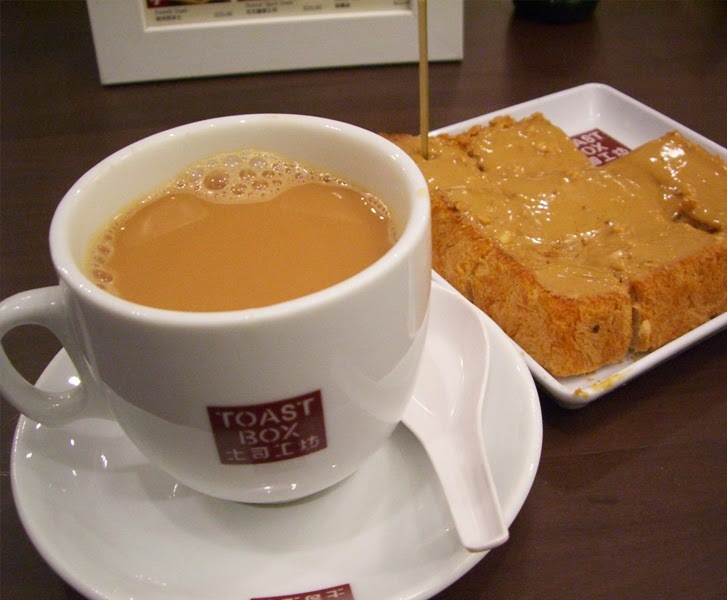 Everyone has their little secret to where in Singapore you can find the "best milk tea". 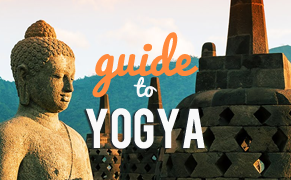 Without a lot of ingredients in a cup of good milk tea, the key in the recipe lies in the proportion and temperature. 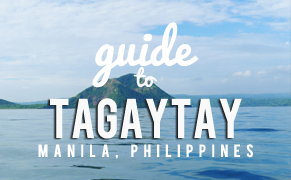 So where can you find your comfort milk tea? 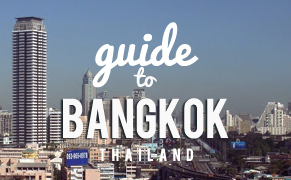 You know what is inside whenever you see a little red dot on a white bun. 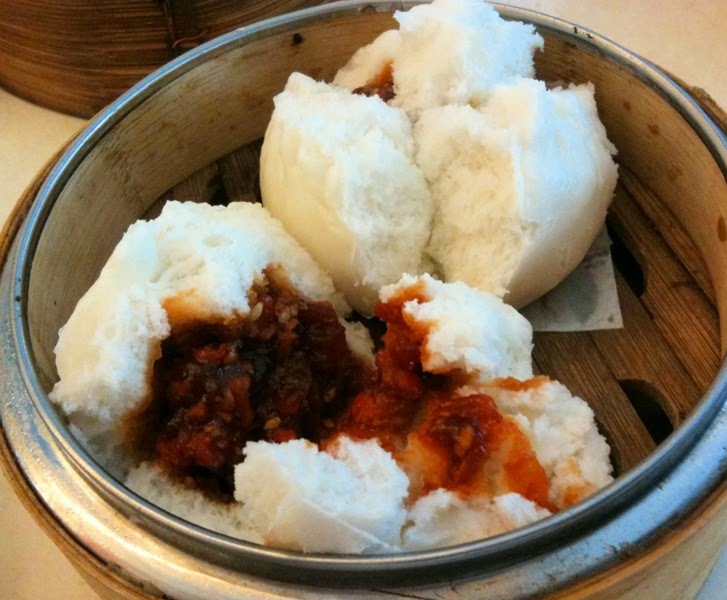 Char siew buns are awesome on-the-go breakfast selections in Singapore. 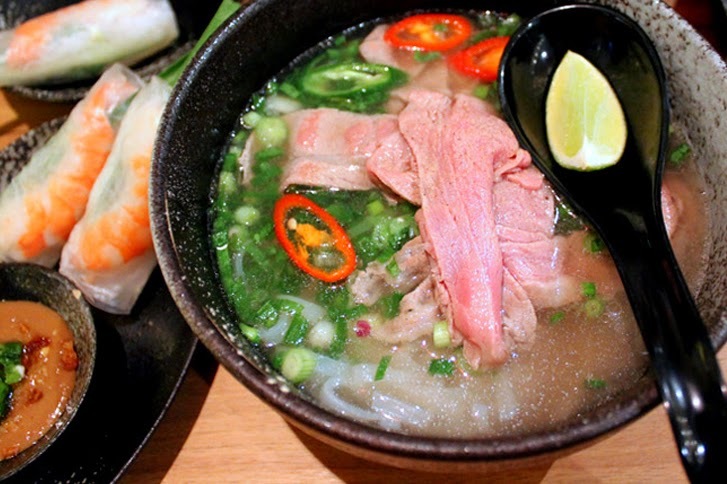 Warm rumbly in your tummies. This flour-based dish is best drizzled with black sweet sauce. It isn't as ubiquitous as roasted duck rice or mixed vegetables rice anymore in food courts or hawker centres... nevertheless, you can be sure this is found in most dimsum restaurants. Steamboats are synonymous with reunions and gatherings. 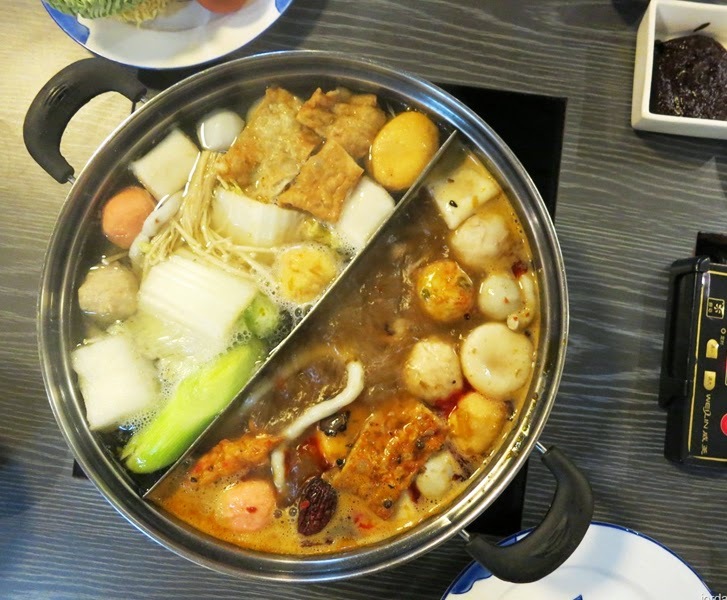 Hai Di Lao is the expensive splurge whenever you need that extra boost of yummy steamboat, but homemade steamboat with shabu shabu from the nearby supermarket sounds like an awesome night ahead too. 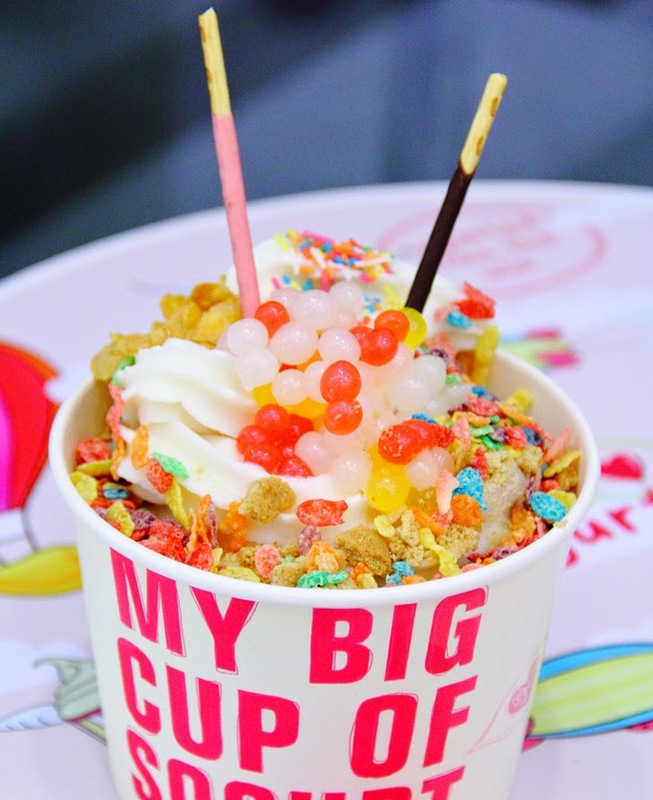 This should be on your Singapore Comfort Food bucket list immediately - this refreshing soy-based ice-cream is better than good ole vanilla ice-cream and will put a smile on your face. 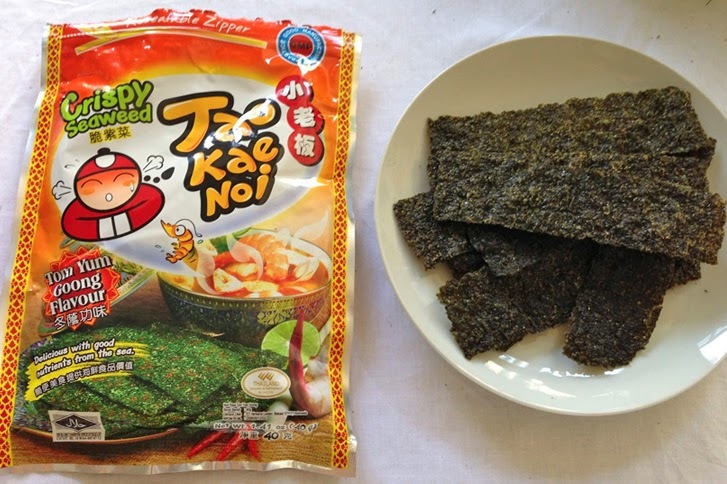 Bliss is when you can stuff a stack of Tao Kae Noi seaweed into your mouth, not caring about how remnants will stick to your cheeks, lips and teeth as you do so. This crunchy snack is best eaten in between (secondary school) classes - it doesn't satisfy hunger, but somehow it makes the day better. 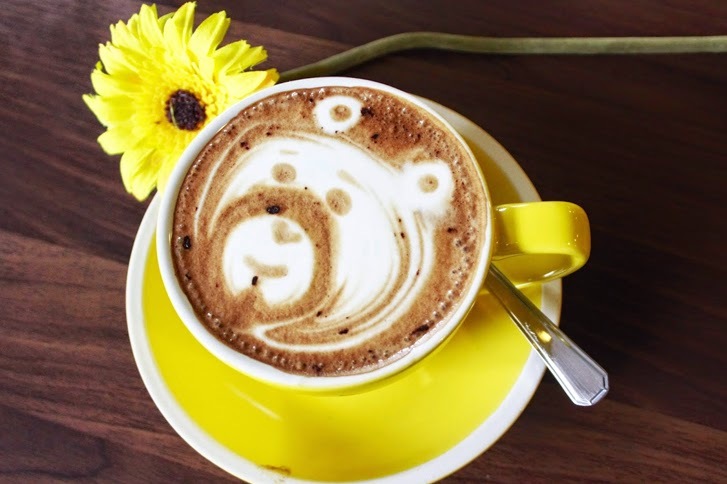 Baristas exist for a reason - and that is to create marvelous cups of coffee that are so delicious, you can finish it in a few gulps. But most people sip on it carefully and slowly because it's liquid gold. 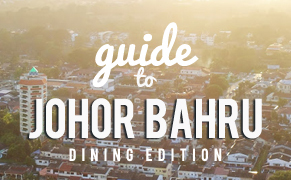 Tiong Bahru Bakery has a hidden gem that you have to try. 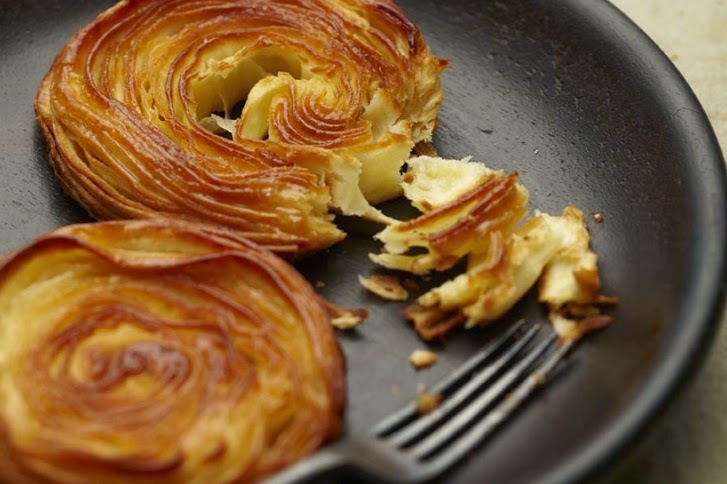 It is the stamp of assurance for a good morning ahead - it's called Kouign Amann, a French pastry that is baked with sugar and butter. 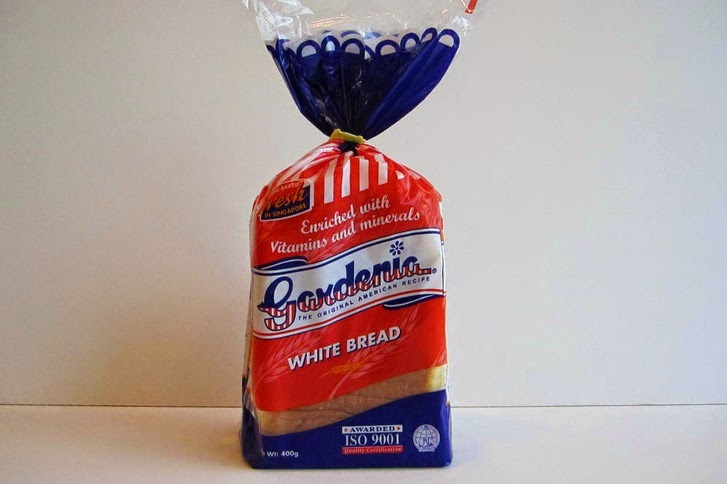 When it comes to blurry-eyed mornings during schooling days, Gardenia bread probably makes up half of breakfasts (and the other half, Sunshine breads). At least, you get variety with Banana Walnut and Raisins, right? 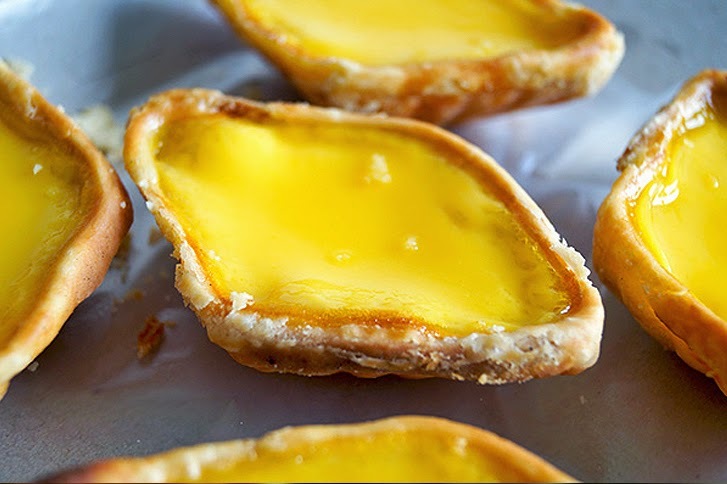 Even though the idea of egg tarts aren't originally from Singapore per se, that does not stop local confectioneries from trying to make their own - and succeeding terrifically at them. Tong Heng Egg Tarts for breakfast/ tea break/ supper, anyone? Seems like it fits everywhere in the food equation.